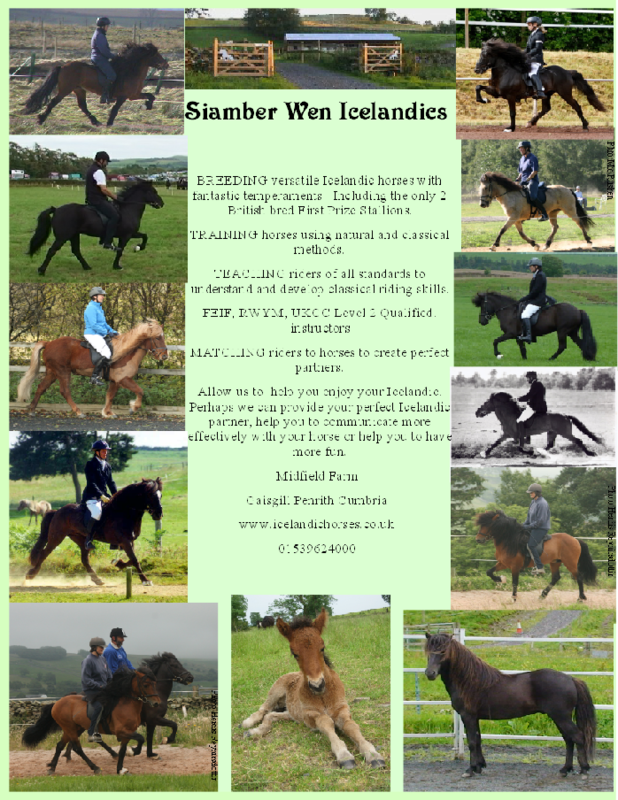 BREEDING versatile Icelandic horses with fantastic temperaments. Including the only 2 British bred First Prize Stallions. TRAINING horses using natural and classical methods. 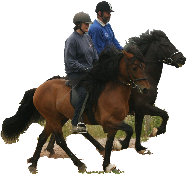 TEACHING riders of all standards, with their own horses, to understand and develop classical riding skills. MATCHING riders to horses to create perfect partners. Allow us to help you enjoy your Icelandic. Perhaps we can provide your perfect Icelandic partner, help you to communicate more effectively with your horse or help you to have more fun.